The quick and easy way to attach edible decorations to cakes and treats. 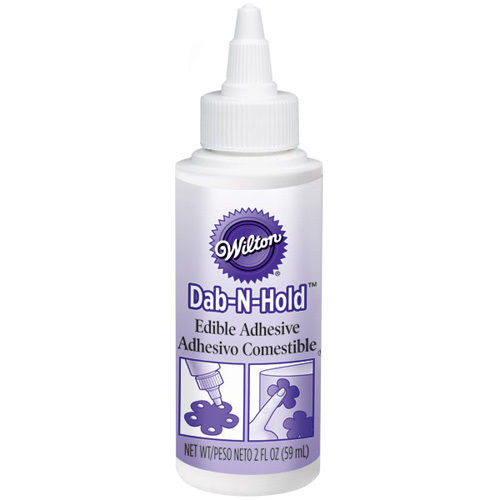 Food-safe adhesive is easy to apply. Spreads thin and attaches fast. Use to apply Wilton Sugar Sheets edible decorating paper shapes to fondant or crusted buttercream icing, create layered decorations and more. Spreads thin, attaches fast and easy. Just apply small dots of adhesive to sugar sheets, attach and allow to dry. 2 fluid ounces.